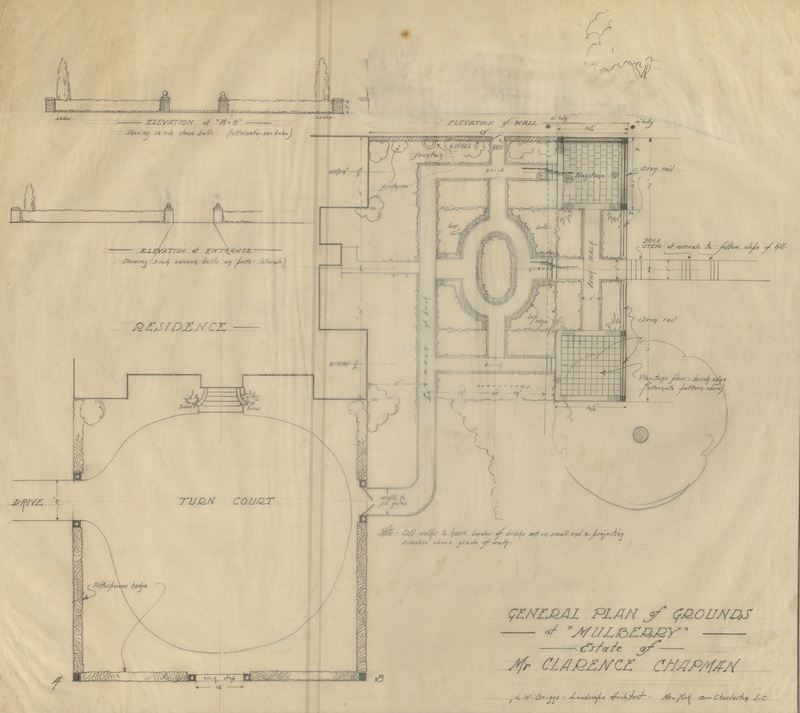 General Plans of Grounds at Mulberry. Courtesy of the Historic Charleston Foundation. Briggs balanced his urban projects with rural residential work and beautified several well known plantations in the region. Most plantations had grounds that resembled both large public parks as well as more intimate private areas adjacent to the main residence. Of these, Mulberry, owned by Mr. & Mrs. Clarence Chapman of New York, is perhaps the most magnificent and well preserved with brick walls, pool, fountain, and gates complementing the tailored grounds. 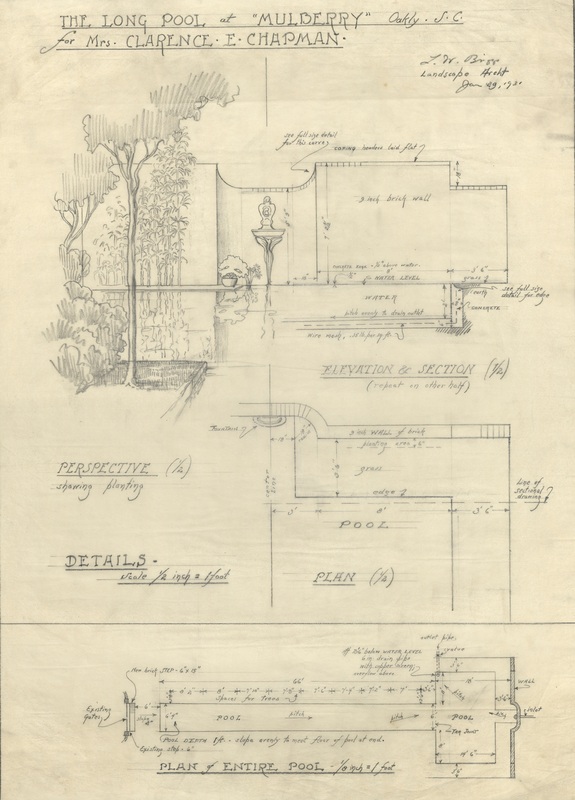 Plans for the Long Pool at Mulberry. Courtesy of the Historic Charleston Foundation.